Stuart Haynes (standing) kicked off the workshop with topics pertaining to governmental organization and financial responsibilities. ST. JAMES— Nearly 30 leaders – mostly local elected officials – attended the Missouri Municipal League’s (MML) Elected Officials Workshop. 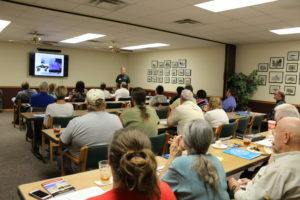 Meramec Regional Planning Commission (MRPC) hosted the training on Aug. 23 at its office in St. James. 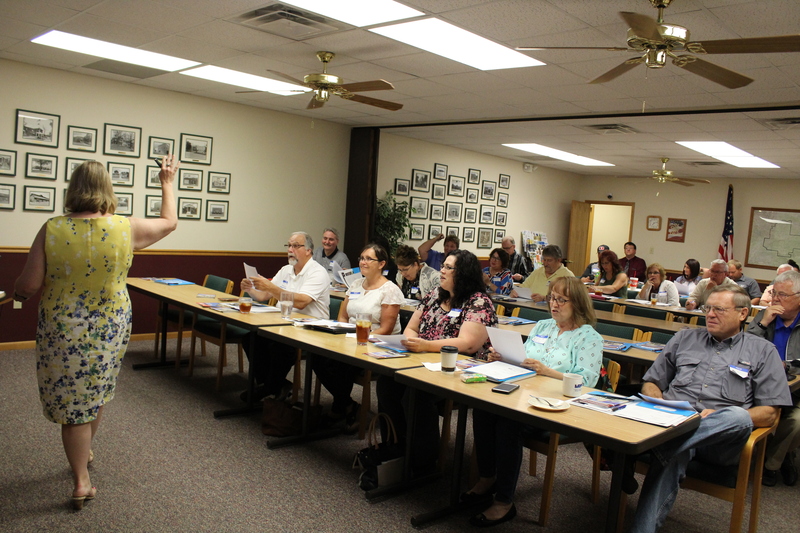 Local leaders traveled from Bourbon, Belle, Caledonia, Cuba, Dixon, Edgar Springs, Licking, Newburg, Potosi, St. James and Steelville to attend the three-hour training. The workshop, presented by Missouri Municipal League staff Stuart Haynes and Ramona Huckstep, covered a variety of topics including classification/structure of Missouri municipal government, powers of the mayor and governing body, budgets, taxation and revenue, council procedures, ethical issues and the sunshine Law. Attendees were encouraged to ask questions pertaining to their cities and their positions. The MML training was provided free of cost to cities, who are members of MRPC as a part of their membership.